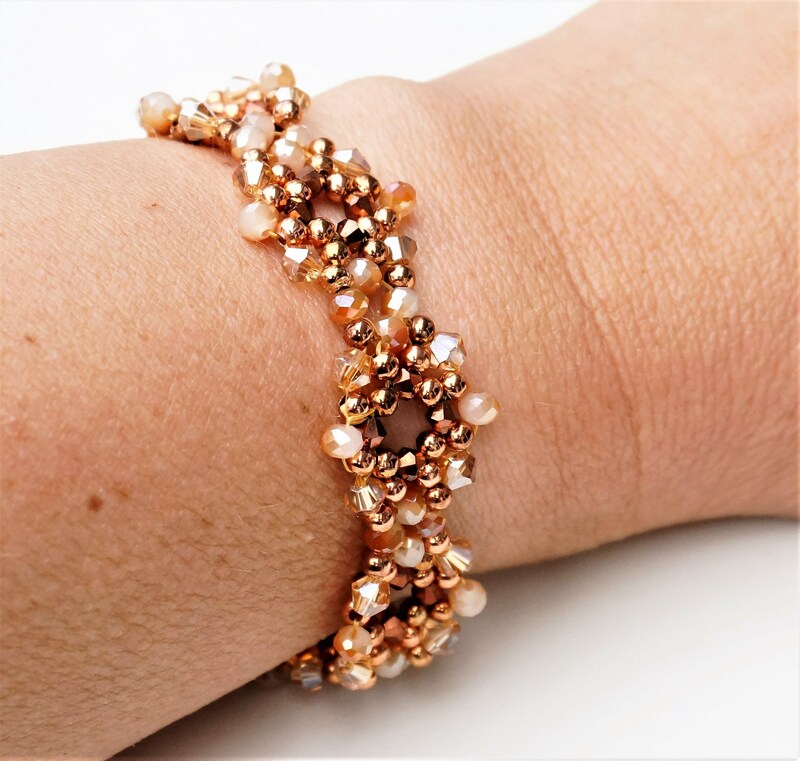 Beaded bracelet in rose gold and beige. 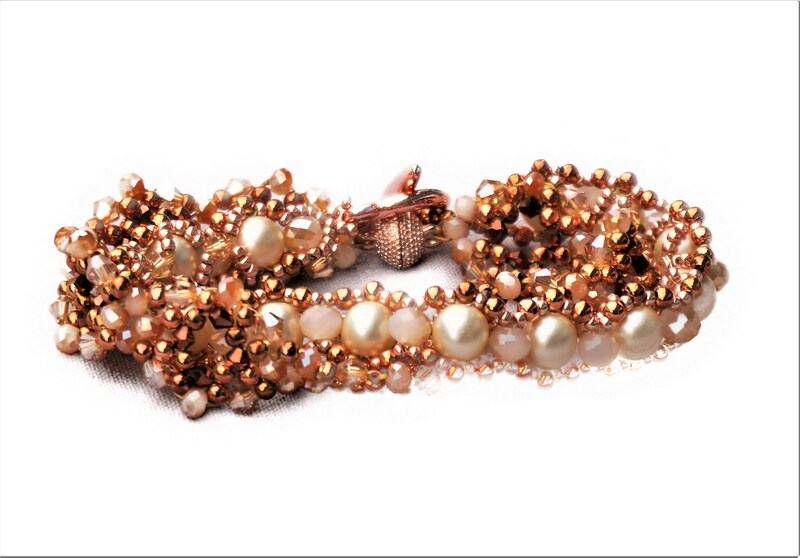 The faceted glass beads, which are combined with round metal beads in rose gold, glitter and sparkle particularly beautifully. 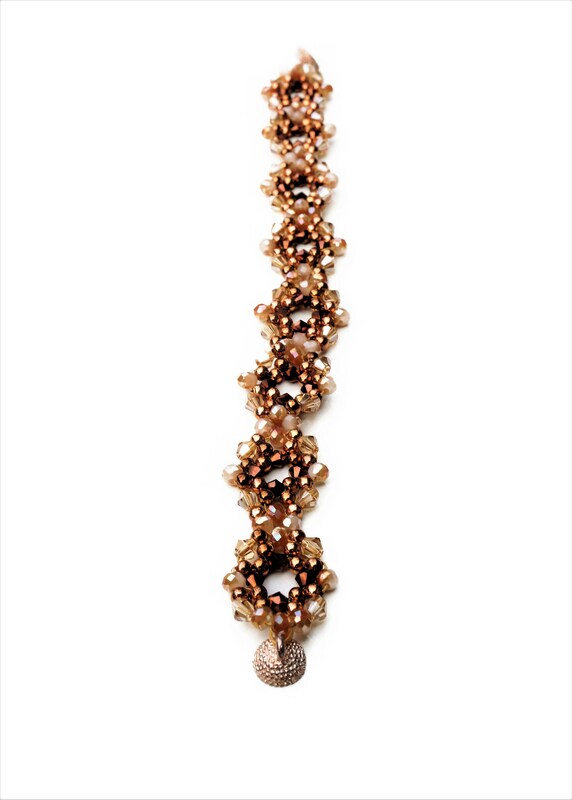 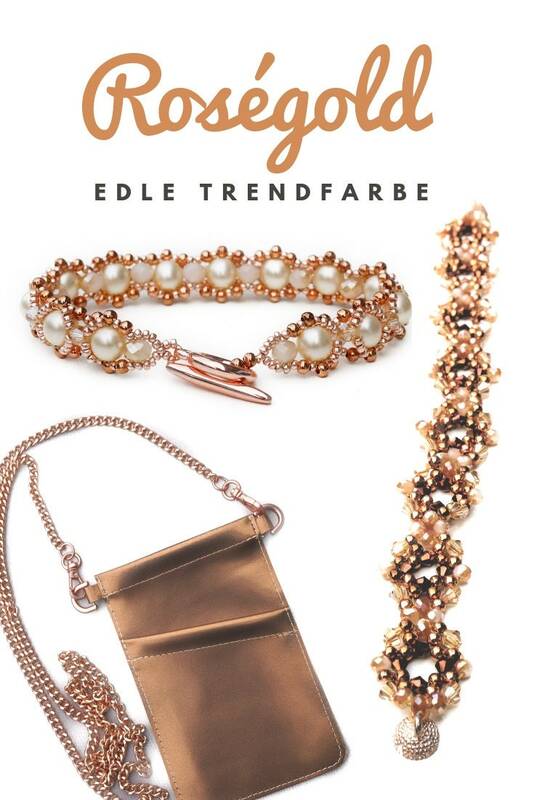 The 20.5 cm long bracelet is elaborately woven by hand from different glass beads and is closed with a rose gold ball round magnet. 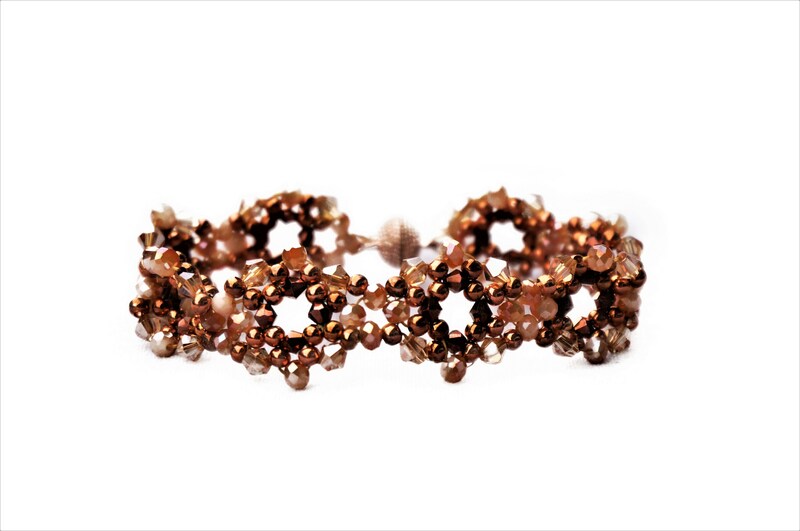 The bracelet will be shipped as a gift wrapped in an organza bag. 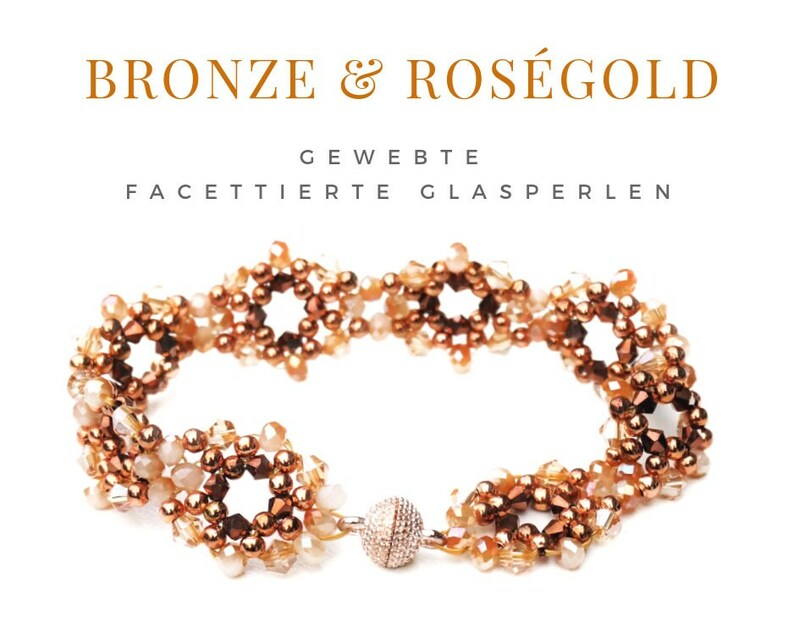 Delivery time within Germany: 2-3 days from payment.